If you have a dog or cat with a skin complaint, you will know how distressing they can be and how difficult they are to treat. In fact, skin problems are often described as a vet’s ‘worst nightmare’ and are so common they account for nearly all UK vet visits. But thankfully there are products on the market that can really make a difference in curbing your dog’s discomfort and distress. The first thing to do is enlist the help of your vet in identifying a cause, which is usually found through process of elimination, and work out whether the problem is caused by diet, parasites or an allergy. 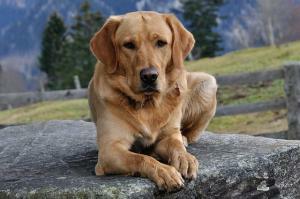 This will determine how you then go about managing the issue and bringing relief to your pet. So, what is causing your pet’s itching and scratching? People tend to assume that itchy skin, or pruritus, is always the result of a flea problem, but in truth there are a variety of causes. Allergies, including seasonal and contact ones, as well as insect bites and low quality diets lacking in nutrients can all trigger and exacerbate skin complaints. If you understand the cause you can then adjust aspects of your pet’s care, whether through diet or grooming, to hopefully prevent future recurrences. Dermocanis and Viacutan Plus are two unique products that can really help. How can you manage the problem through grooming? Grooming your pet is an important part of its care and has many benefits. Not only does it aid the hair renewal process and stimulate production of the coat’s natural oils, thereby supporting coat and skin health, it allows you to keep an eye on the condition of the dermis and notice changes. When faced with a skin or coat problem, we are often tempted to bathe our dogs to reduce irritation and improve coat appearance, but doing this too often with a regular shampoo can have a detrimental effect. For dogs with severely itchy skin, Dermocanis shampoo, developed by leading pharmaceutical company Boehringer Ingelheim, is a carefully formulated cleanser for regular use. Rather than hinder the situation, Dermocanis is designed to help. There are two ways in which you can use Dermocanis shampoo. For dogs who do not suffer from skin complaints, use in place of their usual shampoos to promote healthy skin and a glossy coat. For those with dry and itchy skin, use 2-3 times for one week to help restore moisture and natural pH balance. Dermocanis will wash away allergens and bacteria, and its unique anti-static formula will leave your dog's skin feeling soothed and refreshed. The inclusion of borage oil and Gamma Linolenic Acid (GLA) makes this a gentle but effective product geared at nourishing the skin and coat and promoting a healthier appearance. How can you manage the problem through diet? Diet also plays a central role in determining skin and coat health and nutritional deficiencies can have a huge influence on their condition. The skin is the body’s largest organ and the rapid turnover rate of its cells needs to be supported from the inside through diet. A properly balanced diet rich in digestible proteins, carbohydrates, fats, vitamins and minerals, and free from known allergens including wheat, cereals and soya (amongst others), is essential for a dog suffering with a skin complaint, although achieving the right balance isn’t always easy. Viacutan is a dietary supplement rich in essential fatty acids and antioxidants to help maintain healthy skin and coat in dogs and cats. The key fatty acid is GLA and is thought to support and improve skin integrity and dampen allergic responses to allergens. Usually dogs are able to convert other essential fatty acids into GLA but senior dogs, those with allergies and dogs in poor health can lose this ability, so supplementation becomes vital. Interestingly, cats lack the ability to build GLA and so must ensure they get enough through diet alone. If you have a pet with a severe or persistent skin problem, why not consider Viacutan? Together, these two specially formulated products can really help support and improve an existing complaint, reducing allergic responses and associated inflammation, improving the quality of the lipid barrier of the skin, and bringing effective relief to pets in pain and discomfort. For more information, don’t hesitate to contact us or post your questions and comments below.